The Queen of Wands is an action oriented woman who isn't shy about expressing herself or getting what she wants. She could be a fire sign: Aries, Leo, or Sagitarius. 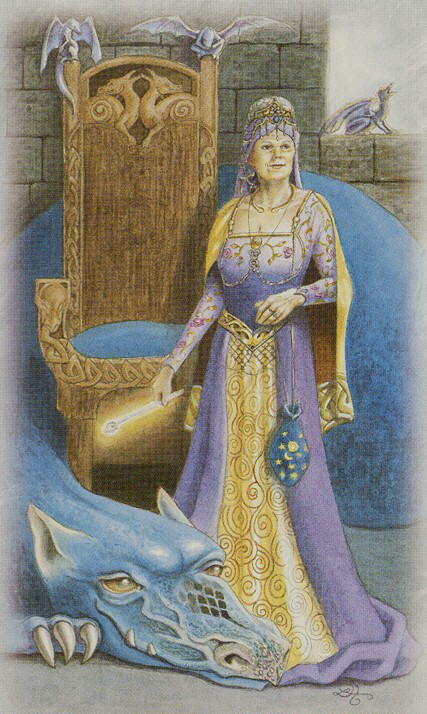 Below you can view the various artistic interpretations of the Queen of Wands card. This Queen is the receptive energy that eagerly calls for life�s experiences. by the Pieta, by Mother Teresa, and by a female lion with cub. Are you willing to do required hard work and accept life to the fullest?